Forty-eight-year-old Scott Porter remains in jail, charged with trying to hire a hitman to kill the husband of the woman he wanted to be with. He will have a mental competency exam before he’s back in court. That could be central to the case. A second case is also being developed by Livonia Police. 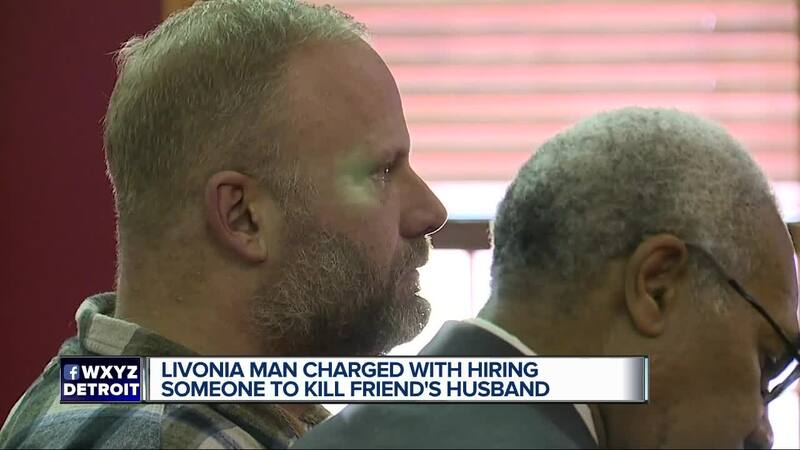 PLYMOUTH, Mich. (WXYZ) — Forty-eight-year-old Scott Porter remains in jail, charged with trying to hire a hitman to kill the husband of the woman he wanted to be with. He will have a mental competency exam before he’s back in court. That could be central to the case. A second case is also being developed by Livonia Police. She said that happened at Loc Performance where the two worked. The target she named in court is Keane Daill who lives Downriver with his wife. Daill would only tell 7 Action News his wife is in the medical field and was trying to help Porter. Then Porter began stalking them and coming to their house. Porter was married until three years ago and we are told his life took a downward spiral after the split. Brian Merrilat has been friends with Porter since college and came to court to support him. He says he was told just two days ago by the family that Porter was diagnosed with Bi Polar disorder 12 years ago and hasn’t kept up his meds. ources say Porter confessed and it is on video.